Buoyed by some Hollywood hype, the Navy’s weeklong large-scale training exercise “Solid Curtain/Citadel Shield” generated a bit more excitement today than the annual security drill tends to muster around the Navy town of San Diego. 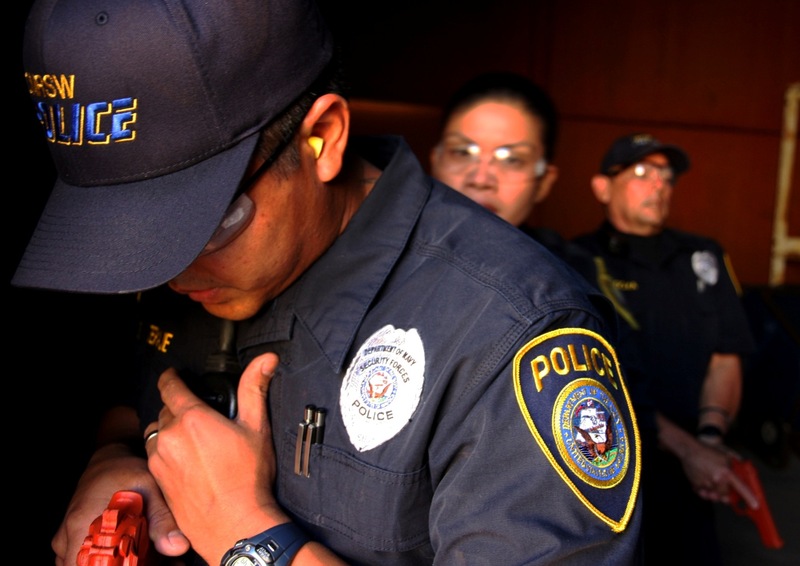 Naval security boats gave chase to a motorboat with gun-toting men racing through San Diego Bay that came dangerously close to the cruiser Princeton as it headed out of the bay. 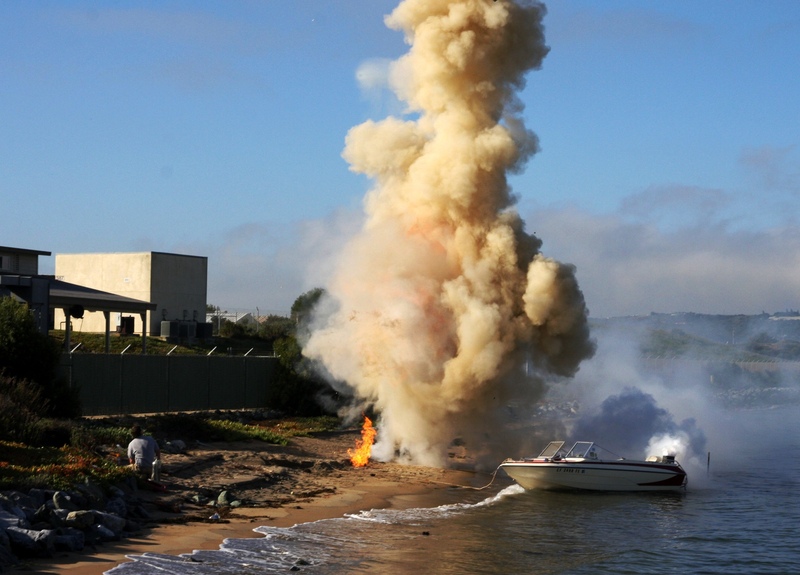 The suspected “terrorists” tried to scuttle their boat along a beach at North Island Naval Air Station in Coronado, but a fiery explosion wounded two men as two others raced for cover in nearby buildings. It would be a few hours before Navy security forces finally caught the gunmen at the air station. Calm had returned by afternoon. But the realism of the exercises threw off morning walkers and commuters caught a little off guard by the explosions and crackle of gunfire courtesy of Strategic Operations. The San Diego-based tactical training contractor is run by Hollywood producer Stu Segall, and the company specializes in realistic training events that can often includes fiery blasts, real amputees and amplified sounds of battle. 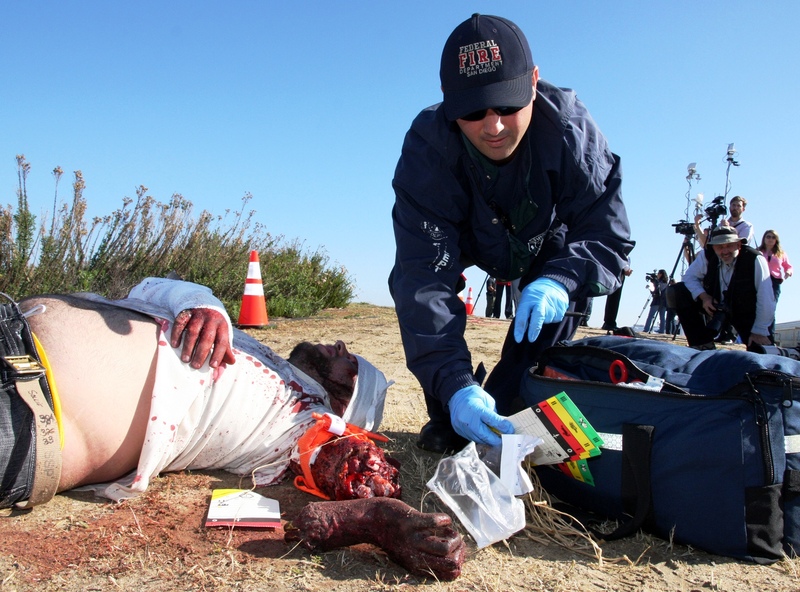 A medic tends to a "casualty" during the "Solid Curtain/Citadel Shield" security exercise drill March 22 at North Island Naval Air Station in Coronado, Calif.